Hanoi (VNA) – Vietnam’s export value is likely to hit 203 billion USD in 2017, a year-on-year rise of 14.5 percent, economists predict. According to the General Statistics Office, export turnover enjoyed a year-on-year increase of 19.8 percent in the first nine months of this year, or 154 billion USD. Economists attributed the growth to Vietnam’s participation in free trade agreements which encourage the business community to invest more in exports and seek new opportunities. In addition, global commodity prices are rising, resulting in increases in export values. The Ministry of Industry and Trade said that the improvement of the country’s business and investment environment and the simplification of administrative procedures have also aided businesses. 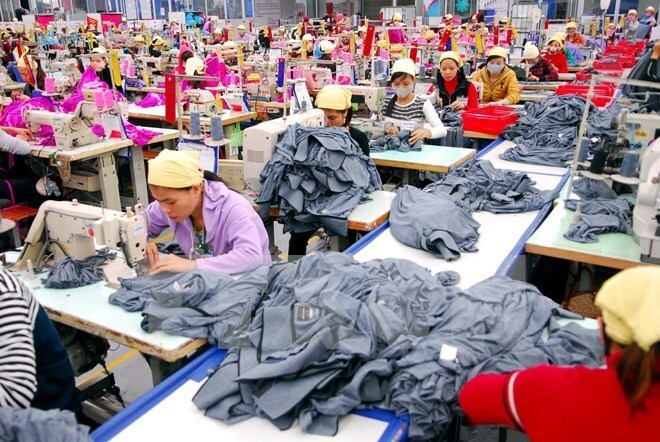 Officials said national export value has high growth potential this year as Vietnam has advantages in exporting certain products, such as farm products, seafood, telephone components and garments. The most important aspect is that local exporters must reform themselves and make use of good opportunities in export markets.